Forming the link between Esplanade des Invalides, Avenue Winston and Champs-Elysees is the Pont Alexandre III which spans the river Seine. Constructed in 1896-1900, the bridge is a single leaf arch built by engineers Jean Resal and Amedee Alby. The bridge is named after the Russian Tsar responsible for the Franco-Russian Alliance in 1892, Alexander III. 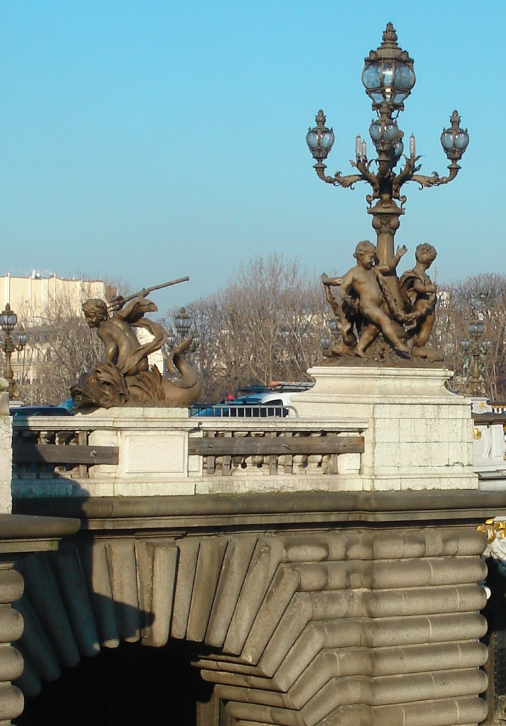 The bridge is rich with fine sculpture work and Art-Nouveau decorations. 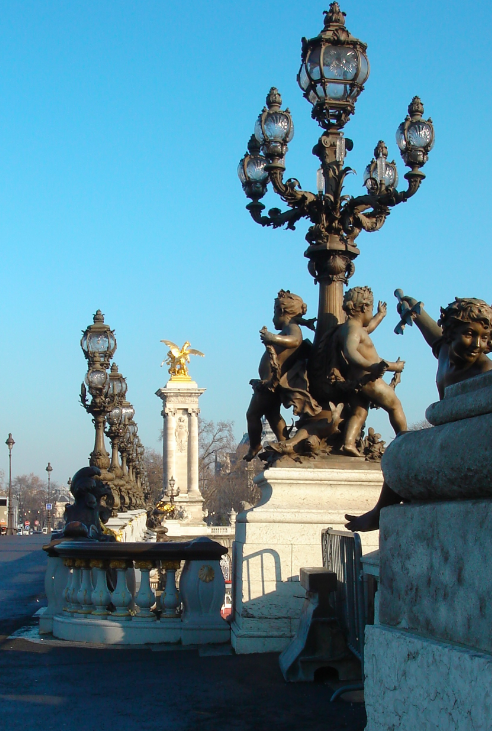 The bridge features four 17m high pillars with gilded statues and each stands for a specific period in the history of France. 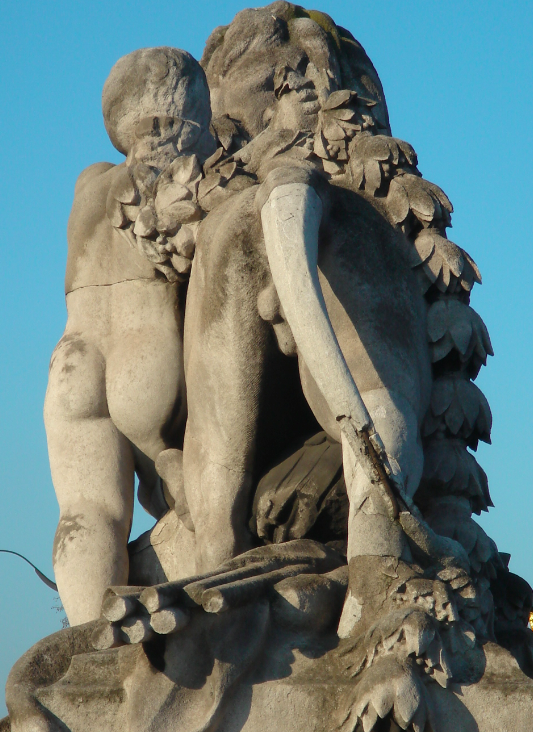 The lions along the bridge were the work of French sculptor Georges Gardet and some of his work is preserved in museums all over the world. 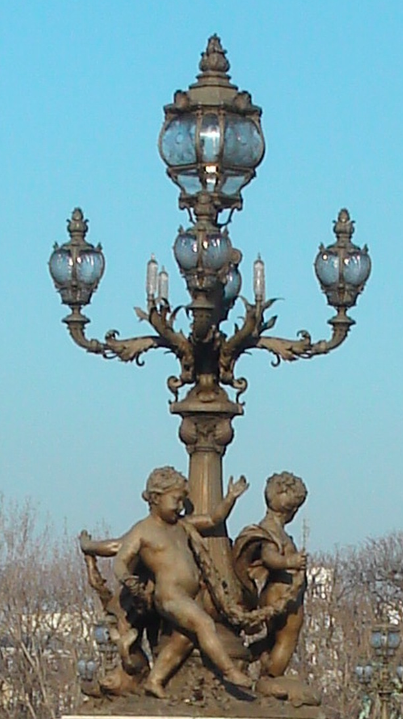 The Pont Alexandre III is listed as a historical monument.